Even if the prayer is granted, how can the poet expect to last that long and “see” it? The simplest answer can be found with Iqbal who believed that individual achieves immortality through loving the collective ego. The desire to “see” and to be in touch with the beloved beyond this earthly life brings a tone of spirituality to this national song composed by Sohail Rana and aired from PTV in 1970. The subject, “Shoni Dharti”, emphasizes land rather than idea but due to the spiritual emphasis at the very beginning, matter becomes a form taken by the soul of the nation (much like in the National Anthem discussed earlier). This is also true about his film songs. Consider the popular love song ‘Akele na jana’. When reinterpreted as a national song, it takes us to a deeper layer of patriotism which is not accessible through national songs alone: "You are a beautiful feeling through which we found courage to live. You are conviction which never dies in heart; you are hope which lives forever." Is it not something which we would like to say to Pakistan? Next: Who wrote ‘Yeh Watan Tumhara Hai,’ generally considered to be the most meaningful national song of all times. We inherit faith from ancestors but we need to find certainty on our own. Likewise, the ideology of Pakistan was handed down to us by Rumi, Attar and Bhittai but we had to acquire a land for it by ourselves. You cannot understand this through any number of debates and discussions unless it comes from within. Hence again we come upon Simorgh or the collective ego: everyone becoming aware of their individuality at the same time is the Unity sought by genuine Sufis. It is not the otherworldliness of charlatans and hypocrites. It is the oneness of humanity, and Pakistan is the first state in modern history which was founded on this concept. The poet Sehba Akhtar was the son of Rehmat Ali Rehmat, a contemporary of Agha Hashr Kashmiri. He was born in Sri Nagar, brought up in Amritsar and first visited Karachi with Quaid-i-Azam Muhammad Ali Jinnah to attend a gathering organized by students. Later he settled in this city where a beautiful road and a library are named after him. He is widely known as ‘The Poet of Pakistan’. Next: Sohni Dharti – we all know this national song but who was the man behind it? The poet Jameeluddin Aali is one of the greatest living authorities on Urdu language and literature, and wrote forewords on scores of rare classics reprinted under his supervision at Anjuman Taraqi-i-Urdu which he headed at one time. Anthem of OIC (mentioned in a previous post) displays his superb command over Arabicized Urdu but his national songs, such as 'Jeevay Pakistan' are written in simple words and without explicit reference to Islam because Pakistan is not only for Muslims. 'Jeevay Pakistan' can be called the song of Simorgh, the concept presented by great Sufi poet Fariduddin Attar (13th Century): birds pass through seven valleys in search of their unseen king Simorgh, and the thirty survivors find thirty mirrors placed before them – “si” means “thirty” and “morgh” means “bird” in Persian. Each bird seeing its individuality at the same time with others is Simorgh or the collective ego. “I am all of you but still I am more than all of you,” says Simorgh and the voice comes from every bird. Music, brilliantly composed by Sohail Rana, brings out a sense of movement and search (Rana once told me that he tried to present all connotations of the phrase “Jeevay Pakistan” separately in the composition: it is prayer as well as determination and journey. Read my interview with Sohail Rana). In 1953, CIA overthrew the democratic government of Prime Minister Mohammed Mosaddeq in Iran (Check Operation Ajax in Wikipedia). Forty-seven year later, US Secretary of State Madeleine K. Albright gleefully confessed it without apologizing and recently in Cairo, President Obama mentioned it again. It may be good to revisit such pages from history now that there is hype about protest by the supporters of pro-West Mousavi who refused to accept election results in favor of Ahmadinejad, and Hillary Clinton promptly refused to accept Ahmadinejad even before protests had gained momentum in Iran. 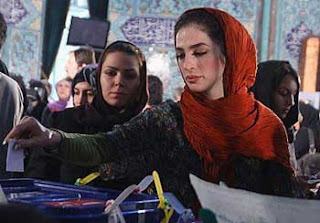 Iranian supreme leader Khamenei has ordered probe into election results (and, just by the way, he is a great admirer of Iqbal), so let’s watch carefully how events unfold over the next few days. Pakistanis cannot help drawing another comparison: in 1977, Prime Minister Zulfikar Ali Bhutto claimed to have won election in Pakistan, the opposition protested and things led to martial law by General Ziaul Haq and the hanging of Bhutto. Today, very few in Pakistan would doubt that there was some involvement of US agencies and the Saudi government (and incidentally, it was a liberal government which got toppled by hard-liner military ruler who then entered into a long and “fruitful” collaboration with US). For those who may like literary icing on current affairs, there is a blog from Iran in which the country is compared with an organism. You may find it to be interesting: “Taking Iran as an organism, I would have to say that Iran is somewhat a mythical creature for it’s not just ONE creature on its own but rather made up of some…” Read Blog from Iran. National anthem written by Hafeez Jallundhri was recorded in 1954. Eleven singers included an unknown immigrant from Hyderabad (Deccan) who later became one of the best-loved voices in Pakistan. His name was Ahmad Rushdi (surely, you must have heard ‘Ko Ko Korina’). Lyrics consist of three stanzas of five lines each. The first line introduces an issue and every subsequent line takes us deeper into the layers of the same issue. Hence montage of simple phrases builds up to a climax in each stanza. May the Pure Homeland prosper! May the beautiful country prosper! May the pivot of certainty prosper! Italics are mine, to help you see that odd-numbered lines emphasize spiritual aspects while even-numbered lines emphasize earthy aspects. Pure Homeland (line 1), sign of high determination (line 3) and pivot of certainty (line 5) are spiritual realities which have now appeared in the physical form of the beautiful country (2), the land of Pakistan (4). May they last forever illustriously! May the destination of aims prosper! Here again the odd and even lines contrast with each other (odd lines refer to the state while even lines refer to the people) but the most noteworthy point in this stanza is that the second line mentions “the power brotherhood of the people” and the third line dramatically introduces “nation, land, state” as if they are derived from the subject introduced in the previous line, i.e. the brotherhood of the people. Hence the power of this brotherhood becomes manifest: countries die while people live on (according to Iqbal), and hence “nation, land, state” derived from this power “may… last forever illustriously”. The final line unifies these elements in “the destination of aims”. The shadow of God Almighty! This stanza is entirely about the national flag. Since banners are always carried in front of contingents, the flag can be called a “guide.” Its star becomes symbol of progress (“stars” are commonly used as measures of rating) while its crescent signifies an unceasing quest for perfection (this interpretation of the waxing and waning of moon also comes from Iqbal). Past, present and future unite here to replace the rule of emperors (who were called “the Shadow of God”) with the rule of this banner and all that it stands for. As usual, the contrast between odd and even lines can be seen in this stanza too: odd lines are about things which exist while even lines are about things desired. Next post: Trendsetter will be about a later poet through whom these linguistic experiments reached their peak. If you are not subscribed to this newsletter, join the Yahoo! Group or send email to KhurramsOffice@yahoo.com for receiving subsequent posts directly in your inbox. You didn't think of Hafeez Jallundhri (1900-1982), the author of Pakistan’s national anthem, as the poet of youthfulness, right? In the early 1920’s, Urdu literary scene was rocking with an unusual poem, ‘Abhi Tou Mien Jawan Hoon’ (‘For Now I am Young’). The poet, Hafeez Jallundhri had the approval of Iqbal almost to the extent as if the Poet-Philosopher was preparing this unschooled newcomer as his successor. Hafeez, who had not completed his high school, was fired with Iqbal’s idea of finding one’s own voice and therefore he didn’t imitate Iqbal. Instead, he created a new diction of simple and easy words which did not seem profound at first but were capable of bringing out deepest emotions from unknown recesses of soul once they were taken to heart – and they almost always were. This was in sync with the life cycle of the East which, according to Iqbal, had “opened its eyes after a long slumber.” East was young, and hence the “I” of 'For Now I Am Young’ became the voice of collective consciousness. 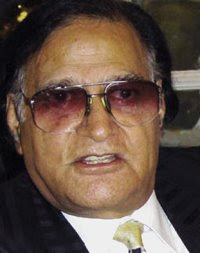 This collective “I” enabled Hafeez to write devotional poetry about Lord Krishna which at one point came to be sung by Brahmins in the temples of Benaras (Varanasi) while on the other hand his epic poem about the glory of Islam, Shahnama-i-Islam, received acclaim from Hindu critics of Urdu literature. It is an honor for Pakistan that the author of its national anthem also wrote devotional songs for Hinduism while being an unabashed defender of Islam at the same time. He was a man of the masses. In the next post, we begin with ‘the Poet of Youthfulness’ (memorizing the work of this poet is compulsory for school children from age 5 in Pakistan). Some who read the first chapter of the biography of Rashid Minhas yesterday have asked for more, saying that they can’t wait. Very well, then, I am going to upload a chapter every day. You can read the second episode today. I wanted to wait until I could design the online version slightly better, with images and everything, but I guess that can be revamped later. Chapter two (posted today) gives you the background of Rashid Minhas – personal as well as historical. Notice the last line of the chapter: “Pakistan was also the beginning of a glorious age and therefore conspiracies could do it no harm." Had I revisited this manuscript anytime during the last twenty years (but I never did that), I would have passed this line as cliché penned down by my younger self in teens – and I may have felt a little embarrassed too. If you are not subscribed to this newsletter, join the group or send email to KhurramsOffice@yahoo.com for receiving subsequent posts directly in your inbox. The biography which I started in 1985 was finished in a year or so but never got published. Seeing the interest now, I feel I should get it printed as well as make available online. I'll keep you posted, but the first chapter has already been uploaded on my website as a test page. Take a look, and please let me know what you think of it. One of the younger regulars has commented that she doesn’t know who Sohail Rana is. Perhaps I am jumping too abruptly from Rashid Minhas to the anthem of the Organization of Islamic Conference (OIC). I would like to explain: look out for the next post. The story of Rashid Minhas is far from over. As you join me in a rare journey into the inner layers of music and poetry, you will see, repeatedly, that just as destiny played a part in the life of Rashid, so it is playing a role in ours too. Just like him, each one of us has written poems which are coming true – and yes, that includes you. Only, you may not have written it on paper, and you may not know that you wrote it. It would be a great pleasure for me to help you see it. We have looked at the anthem adopted by the Organization of Islamic Conference in 1974. Does it also have a universal message for humanity outside the world of Islam? First, I would like to share with you the work which I have already done on the composer and poet of this anthem. I had a long interview with Sohail Rana in two sessions in 1993. My write-up about him was published in Dawn two year later and now can be seen on my home page. Since then, I have also analyzed his work on my blog and have received feedback from him on that through email. How many of us know that the Muslim world has an anthem, unanimously agreed upon by heads of all Muslim states? The decision was made through a resolution passed by the Islamic Summit Conference (Organization of Islamic Conference) in 1974. For the last thirty-five years, this official anthem has been played every time the conference of Muslim states was held anywhere in the world. It was written by Pakistani poet Jamiluddin Aali (lyrics were selected through international competition), and composed by Pakistani musician Sohail Rana (now that Rana is back in the country, he might be viewed on TV). Listen, and decide for yourself. Next: The Melody of Muslim Revival (2). Join the Newsletter or send email to KhurramsOffice@yahoo.com for receiving subsequent posts directly in your inbox. Rashid was also hoping to get married soon when he died. Incidentally, the singer Jim Reeves had also died seven years ago in plane crash. He was flying the plane himself. Next: The Musician of Muslim Revival. If you are not subscribed to this newsletter, join the group or send email to KhurramsOffice@yahoo.com for receiving subsequent posts directly in your inbox. And now, “forgotten prose” from Jamiluddin Aali, Asar Badayuni and Ibrahim Nafees! These articles appeared in the press soon after the death of Rashid Minhas and were then forgotten. So many younger readers who commented on recent posts – and who neither saw these writings nor belong to that generation – came upon exactly the same thoughts which were expressed here. How? The paths of civilization are paved with the blood of some martyrs who cannot be accused of aggression even by the wildest stretch of imagination: Jesus Christ, Imam Husain, Mansur Hallaj, and so on. Their sacrifices give legitimacy to questions which would otherwise be heretical (consider the slogan for which Hallaj was put to death, “Ana al-Haque” or “I’m the Creative Truth”). Rashid Minhas is a sort of little Hallaj for the new nation of Pakistan – as if he wrote with his blood, “I am Pakistan.” In him, the personal becomes the political: in the final duel, his self-respect and prestige of Pakistan become one, and he must choose to die in order to save both. Having faith in God might not be sufficient for answering this question. We need to have faith in ourselves too. This highest military award was granted to him for defying his own superior. Taking our lesson from it, how should we, as a nation, act if a military general or a civilian ruler tries to hijack the country for landing it in the lap of some foreign power? What is the meaning of unity (oneness)? Is Rashid a military hero only, or can he also be a role model for civilians? Can his action be converted into metaphor guiding us to deeper layers of reality in other areas of life? If there can be no patriotism without self-respect, broad-mindedness and resilience then what should we do for inculcating these values in ourselves? However, we cannot become wiser and will only turn into hypocrites if we dabble with these questions without agreeing to the basic minimum first: national pride is a non-negotiable.